Forget The Duck Face! How About An… Octopus Face? KillerStartups > Startup Spotlight > Forget The Duck Face! How About An… Octopus Face? One of the best things about good friends is the absolute lack of shame we have around each other. My best friend is a woman I’ve known since I was 13 and God knows that woman has seen me in more compromising positions than I’d care to completely admit. She’s also seen me at my saddest, my happiest, and my goofiest. The goofy is where WePose comes in. 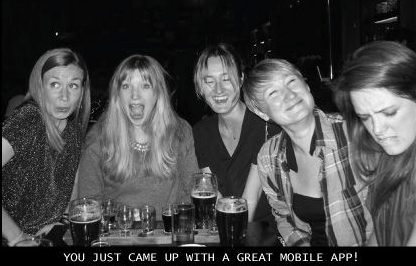 The premise is deceptively simple: The app gives you a caption, your friends act it out, and you snap a pic. Bam! Instant immortalization of one of those goofy friend moments we all love and appreciate so much. 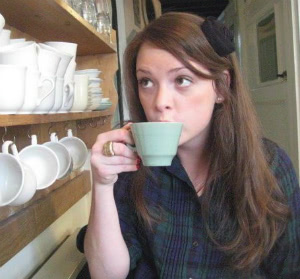 One of the co-founders of WePose is our very own accidental entrepreneur, Holly Hutton. Keep reading for her breakdown on the birth of WePose, why she’s loving being an entrepreneur, and how you can get a little bit of that startup founder good karma. Where did the idea for WePose come from? 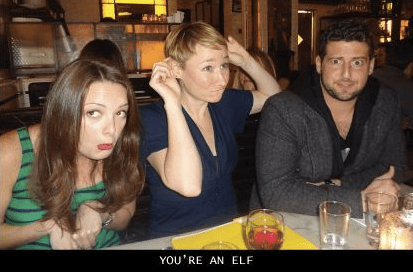 My friends and I have been playing this game for years – we call out random scenarios, our friends act them out, we snap a photo and laugh hysterically. The only problem is that when you look at the photos later, you’ve already forgotten what scenario goes with what photo. I was living in Buenos Aires at the time, my best friends came down to visit and we were playing this game at my favorite bar. My friend Gen suggested this would make a really fun mobile app, and we all agreed. So, we decided to build it. It’s been almost a year of fleshing out the idea, and putting all the pieces together. We’re now at the programming and funding stage. We thought an indiegogo campaign would be a great way to get our friends and family involved with the project, and, obviously, to help us raise the development costs. It’s been awesome so far. You started a post on KS called “Startup Advice From An Accidental Entrepreneur.” What’s that all about? I never planned on becoming an entrepreneur, it’s still a weird concept to me, and it was purely by accident. As the project progressed and we started creating our marketing strategy and investment proposal and user interface and all that fun startup stuff, we quickly realized that we weren’t just building a little mobile app, but we were creating an actual business. So, since I’ve been writing everyday about startup founders and the lessons they’ve learned, I thought, “Dude, I’ve learned some hard startup lessons too that I could give advice on.” So, I started a post to help other fellow “accidental” entrepreneurs. What has been the best part of the project? Working with my friends (and now co-founders) on a regular basis. When we started WePose, I was in Buenos Aires, three friends were in New York, and one in London. We wouldn’t have had this much communication if it wasn’t for the project. It’s been slightly stressful at times trying to navigate time zones, meeting deadlines, trying to agree on certain things, but that all comes with the territory. It’s just been a really interesting experience to go through with them. And, we’re all chicks! That’s still a rarity in the startup world, and something we’re pretty proud of. And, it’s just been a lot of fun! Our weekly conference calls usually start with some gossip and uncontrollable laughter, and then we somehow manage to get some work done. WePose is the hilarious new caption app that’s making photo-taking a hell of a lot more fun! 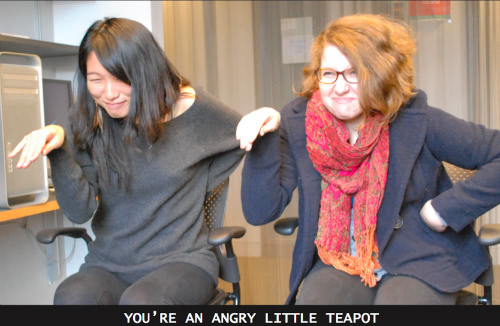 WePose gives you the caption, you give us the pose, everyone laughs hysterically! 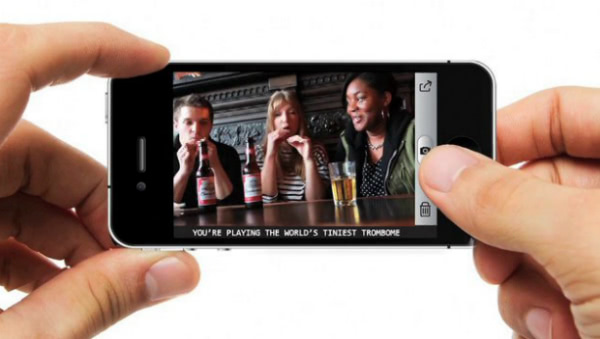 This makes it more interactive, more social and much more engaging than other caption apps. Kids, Grandmas, introverts, doesn’t matter – everyone loves to play WePose. Your life… In a good way! 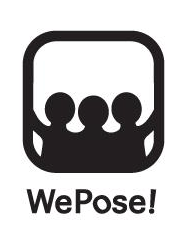 It’s simple: We all love to laugh and have fun with friends and that’s what WePose is all about. Check out the Indiegogo campaign, donate if you can, and share with friends. There’s only a couple days left and we’re so close to making this happen!